LOS ANGELES–(BUSINESS WIRE)–Last winter, the United States experienced one of the worst influenza (flu) seasons in nearly a decade. Thousands of children ended up in hospitals across the country, including at Children’s Hospital Los Angeles (CHLA), which set new records for inpatient census – the total number of patients admitted on a given day – during this period. In preparation for the upcoming 2018-2019 flu season, and to help manage patient admissions that continue to increase every year, CHLA has greenlighted a short-term construction project to renovate and reactivate 17 patient beds in the hospital’s Mary Duque Building. Built in 1968, the Duque Building served as part of CHLA’s main hospital complex until the opening of the Marion and John E. Anderson Pavilion in 2011. Today, while it still contains some clinical, surgical and inpatient areas, the building primarily houses medical staff offices and administrative space. The roughly $2 million construction project, which is taking place in the east wing of Duque’s fourth floor, covers renovations essential to resuming inpatient care there. Along with new beds will come other upgrades, including new physiological monitors, a new nurse call system, a new pneumatic tube transfer system and upgraded network infrastructure to bring the wing up to current hospital standards. All but two rooms will have single beds and, similar to other inpatient areas of Children’s Hospital Los Angeles, each room will have pull-out beds that parents can use to spend the night with their child. The goal is to have the floor ready for the first patient admission by November this year. Once renovations are finished, pending approval by inspectors from California’s Office of Statewide Health Planning and Department of Public Health, the total number of active beds at CHLA will increase to 391 (from 374). This extra inpatient space will be available until 2030, when stricter hospital earthquake compliance rules take effect across the state. 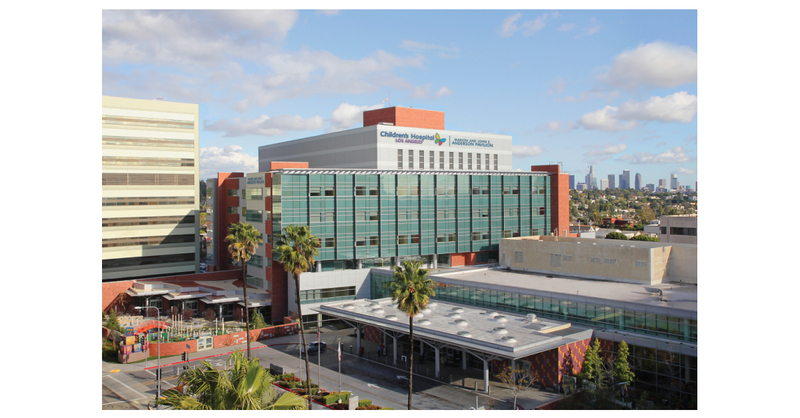 CHLA has already invested about $7 million in seismic upgrades to the Duque Building and an adjacent facility, the McAlister Building, which houses clinics, an infusion center and administrative offices. In 2030, both would be required to either undergo additional seismic retrofitting, redeploy as non-clinical space, or be replaced completely. Founded in 1901, Children's Hospital Los Angeles is ranked the top children’s hospital in California and sixth in the nation for clinical excellence with its selection to the prestigious U.S. News & World Report Honor Roll. Clinical care is led by physicians who are faculty members of the Keck School of Medicine of USC through an affiliation dating from 1932. The Saban Research Institute encompasses basic, translational and clinical research conducted at CHLA. For more information, follow us on Twitter, Facebook, LinkedIn and Instagram, and visit our child health blog (CHLA.org/blog) and our research blog (ResearCHLABlog.org).